This book examines the socio-economic impacts of two micro-credit projects operated in the war-torn area of Kachin State, Northern Myanmar. The over 30 years civil war had devastating effects in all areas. The rural poor households do not have access to credit for investment in production and consumption. The need of credit is arising among them. Setting up the village-managed micro-credit schemes, it in a tipping point has played a significant role in to re-establish and promote society and economy. The study discovers its socio- economic dimension of benefits that has positive impacts on development of rural livelihood system, reduces of poverty and contributes to community development. The study has gone through analysis on its institutional aspect and management of credit and savings. 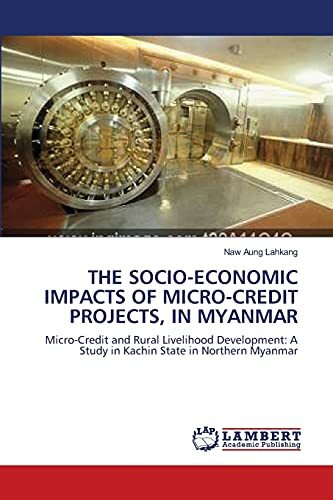 Exploring the challenges facing micro- credit projects, the book concludes with suggestion for further improvement of MCU, enhancing the positive impacts on rural lives and implication in other locality toward sustainable rural financial institution. It hopes as of practical tool to social workers in helping in micro-credit and saving schemes more effective.